Home Tag "flipkart acquires jeeves"
Jeeves is no new name to most of us. For decades the knowledgeable and profound butler from the adventurous tales of P G Wodehouse has hooked the imagination of readers by the funny bone. But for Flipkart, Jeeves is no laughing matter. It is perhaps one of the greatest customer innovations that India’s largest online marketplace had pioneered during its game-changing course over the last decade. 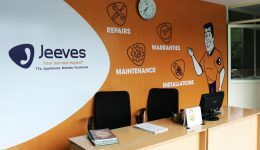 To be more precise, Jeeves Consumer Services Pvt Ltd is Flipkart’s very own product repair and after-sales service capability, designed to deliver customer smiles beyond the point of delivery. How? We unveil the story.